Being a bodybuilder isn’t easy – not only do you have to work hard and have the utmost patience and dedication you also have to adhere to a strict healthy diet and exercise routine if you are to achieve that lean, mean ripped physique that’s such a hit with the ladies. Nothing worth having after all, is easy to get nor easy to have without some sacrifices and a lot of hard work. Nor is it any easier to put together the perfect bodybuilding supplement stack, one that addresses all your needs and gives you the best results. Most bodybuilders prefer to just go with one or two supplements or go without them altogether but the importance of having good supplements can never be stressed enough. The best bodybuilders know very well how important good supplements can be to their training and how it can help them have the best body ever. 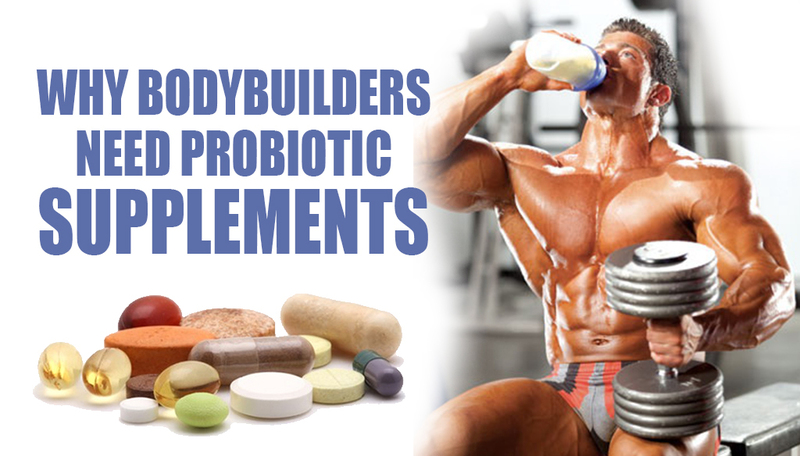 Probiotic supplements, in particular, are among the types of supplements that keep coming up as far as coming up with the ideal bodybuilding supplement stack is concerned. Probiotics are live microorganisms in the gut that promote good intestinal and digestive health. These days, the business of good bacteria is a fast-growing industry, what with the word “probiotics” appearing in almost every health product available in the market, from yogurt to granola bars. Certain types of probiotics are linked to a multitude of health benefits but for bodybuilders, the best benefit of probiotics is the fact that it produces amylolytic, lipolytic and cellulolytic digestive enzymes that help them absorb nutrients better. Since they also have the tendency to over train and subject themselves to various exercise routines that test their endurance limits, probiotics essentially help combat oxidative stress and offers intestinal cell protection against oxidant-related tissue damage. It also reduces a bodybuilder’s exposure to respiratory tract infections, gastrointestinal distress and helps regulate the production of the hormone cortisol, which is known to contribute to muscle-wasting. In addition, the best probiotic supplements these days also contain bacillus coagulans, which is a type of bacteria that produces lactic acid and helps maintain the normal balance of good bacteria in the body. Not only does it improve digestive health, it also improves the immune system and athletic performance and aids in substantial fat loss. In fact, recent studies show that taking one billion colony-forming units of this bacterium showed significant protein absorption for maximum muscle growth and gains. Also, bacillus coagulans enables your probiotic supplement to have a longer shelf life due to the fact that it is able to withstand extreme conditions. It is surrounded by a natural protective shield that helps it survive the heat and pressure of manufacturing, as well as from stomach acids so that it arrives intact in the intestines unlike other commonly probiotic types like bifidobacterium and lactobacillus which do not come with a protective shield. When finding the best probiotic supplements, it is important to read the label and find out exactly what strain is used in the product and how much of it is contained therein. The health benefits it is purported to give should be backed by adequate research to ensure you are consuming a product that is safe. If you also have a compromised immune system or any kind of acute illness, you should not consider taking probiotics so before rushing out to the nearest drugstores, check with.